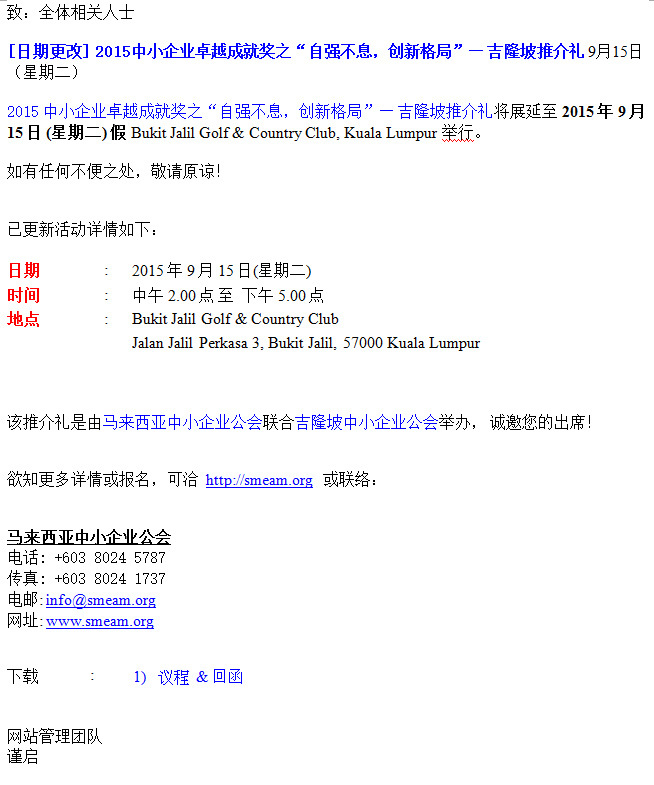 Please be informed that the 14th SME Recognition Award 2015 “Shaping up to the New Economic Landscape” - Kuala Lumpur Roadshow will be postponed to 15th September, 2015 (Tuesday) at Bukit Jalil Golf & Country Club, Kuala Lumpur. We are apologizing for any Inconvenience caused. The event is jointly organized by SME Association of Malaysia and SME Association of Kuala Lumpur.